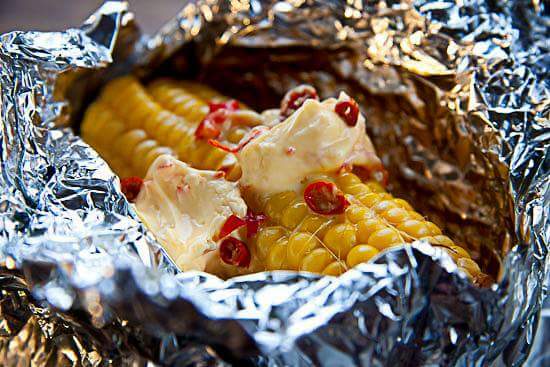 I just simply wrap the corn in foil and place a knob of butter and a sprinkling of salt on each. Throw them on the barbecue jiko or in the oven and allow to cook for 15-20 minutes until they are soft and juicy. You could finish them off with a sprinkling of chopped chilies. Milk and cornflour mix in a small saucepan. Allow to come to a simmer and wait for it to thicken. Add the pepper and salt and serve.